Hello everyone! I am here at Club Penguins 9th Anniversary party for this year! Can you believe that it has been nine years since Club Penguin first started? The party is taking place at the coffee shop and it won't be there for long. The party is running this whole week and after that it's over. Be absolutely sure you collect the party hat for this years party. Club Penguin gives one out once every year so do not forget! 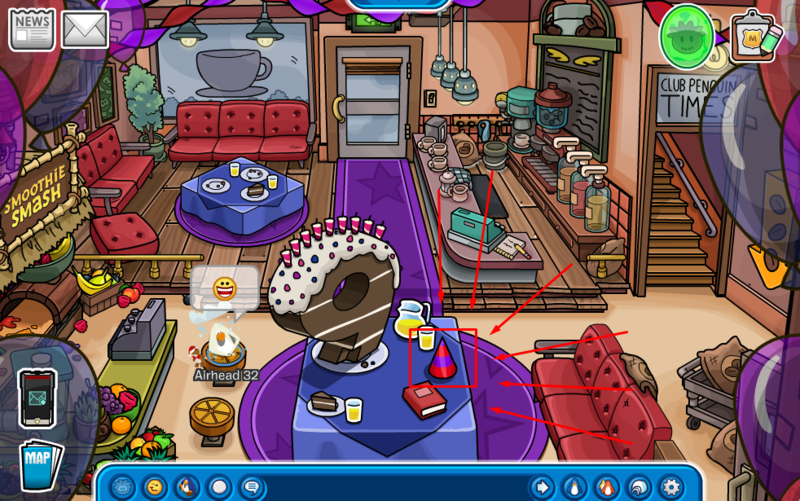 Also, be sure to check out the yearbook right below the party hat.